For members of the thriving Newcastle arts scene, Norham House on New Bridge Street has always been a uniquely supportive starting point. Established in 2010 by graduates Will Marshall and Will Strong, the Newbridge Project group have since provided an almost maternal service to like-minded emerging artists, ensuring that they have everything they need to kick-start a bountiful career without having to migrate towards the blinding city lights of London or Manchester. Following the announcement that the current premises of the artist-led community space is set to be demolished, the past few weeks have seen a wealth of wondrous events celebrating the legacy of the office block-turned gallery. Events at their current venue are scheduled to come to an end this month – but they’re not going out without a bang. With work adorning every inch of the building, Saturday 4th March will be your final chance to see the work of over 80 artists before a Newbridge ‘Leavers Disco’ is set to take art lovers and artists alike into the early hours. 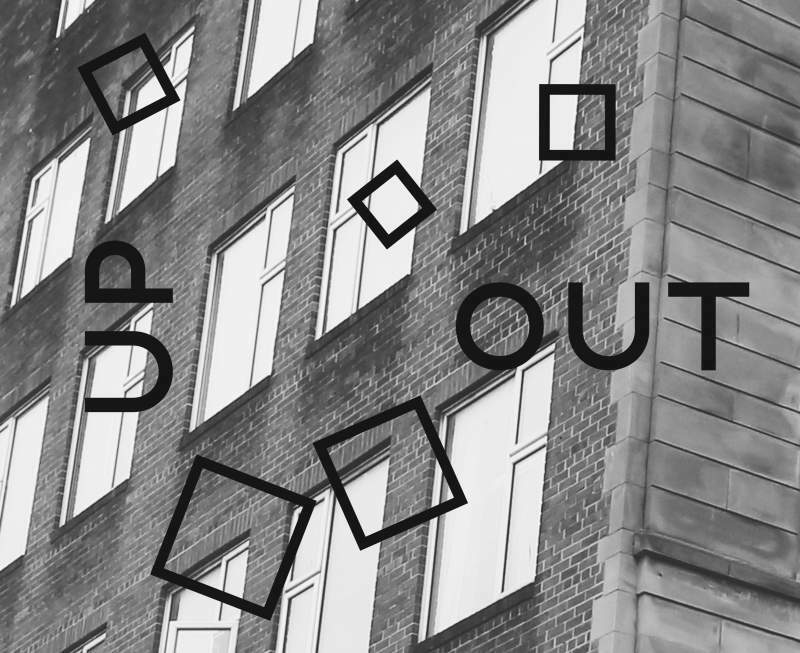 Up and Out will be taking place at Norham House, Newbridge Street on Saturday 4th March.